Irma is Schwartz Media's third hurricane. MIAMI: PR agencies in South Florida are working to get back online after Hurricane Irma ripped through the state. Florida is no stranger to hurricanes, so many companies have pre-made plans for keeping their businesses running while the storm rages. Schwartz Media Strategies, an 18-person firm based in Miami, began preparing more than a week before the storm made landfall. 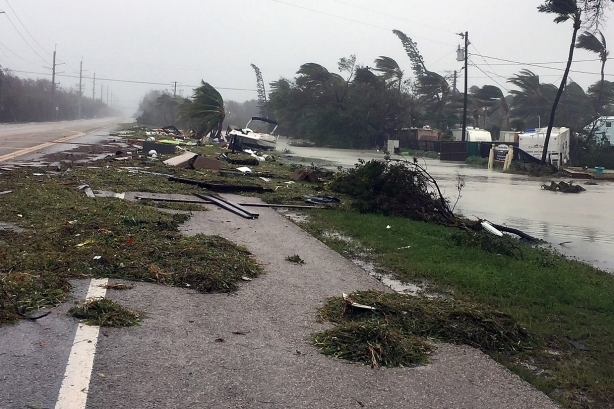 The Gulf Coast of Florida took the biggest hit from Irma, which first made landfall as a Category 4 storm in the Florida Keys, then as a Category 3 in Marco Island, Florida. Miami didn’t get a direct hit, but the city saw several feet of storm surge and hurricane force winds. The storm also battered Caribbean islands as a Category 5, including the U.S. and British Virgin Islands, Antigua and Barbuda, Puerto Rico, and Cuba. "We knew about 10 days ago that the storm was pretty much going to hit us in some capacity," said Tadd Schwartz, president of Schwartz Media. "We’ve had our business for 12 years and been through three hurricanes." He added that hurricanes can be catastrophic, not only for families and individuals, but also for businesses. "A business can go down and be out of business for weeks, if not months, if they're not prepared," said Schwartz. Schwartz Media’s staff is now scattered across the country, working remotely after evacuating Miami. That’s by design, Schwartz explained, so the staff can stay connected online even if they aren’t in Miami. Another Miami-headquartered firm, JeffreyGroup, is in a similar situation, said CEO Brian Burlingame. "As part of our business continuity planning, our primary work files are cloud-based, which has allowed our team to continue working normally from remote locations," Burlingame said. "We’ve encouraged everyone to stay safe and take care of their immediate personal necessities, and those who have internet access can work as able." Both Schwartz and Burlingame say their staffers are all safe and accounted for following the storm. Although both firms’ offices are inaccessible, as authorities are not allowing residents back into Miami Beach yet and the airport is closed, the work continues to chug along. JeffreyGroup, and its sister agency Pinta, are going forward with meetings and calls outside of Florida and working closely with the firm’s offices in the U.S. and Latin America to continue servicing clients, Burlingame said. Schwartz Media, which services clients mostly based in Florida, is working to help those clients get up and running alongside their own business. "For all of these clients, the first priority in advance of and after the storm is putting a strong foot forward with their customers," Schwartz said. "We needed to have a plan in place to enable us to assess information on the ground after the storm to give clients real-time information to communicate on their behalf." For a client like Walmart, Schwartz said, his team has been assessing which Florida locations are open and what supplies they have - like water or batteries - in order to share that information with the media and local communities. Even before Irma hit, the agency was working on post-storm communications plans for its Florida clients. Both firms expect to have access to their offices again this week and will work to resume normal operations as employees begin to return to the area. Many areas of Florida are without power because of Irma, with 7.2 million homes and businesses currently in the dark, and authorities say it could take days or weeks to completely restore electricity. Schwartz, however, reiterated the resilience of Florida in an Instagram post showing a flooded Brickell Avenue in Miami, where his agency’s office is located.